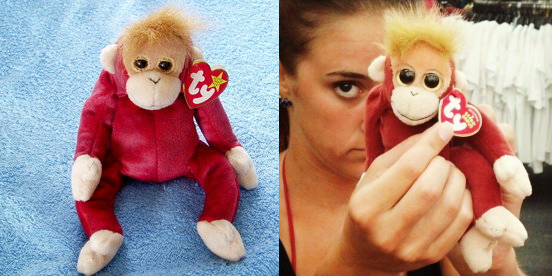 I was strolling through a shop the other day and came across a collection of "ORIGINAL TY Beanie Babies!" I was all pumped... until I looked at them. It's not original at all! Look at its eyes! It's gotten the 21st century eye treatment! They're HUGE! I decided to look up how many other toys have changed through the years since I haven't been in a Toys R Us in a while, and it's a little terrifying. Barbie Styling Heads now come with pets... and even more extensive make-up than ever. Furby has gotten even creepier... WITH LED EYEBALLS! 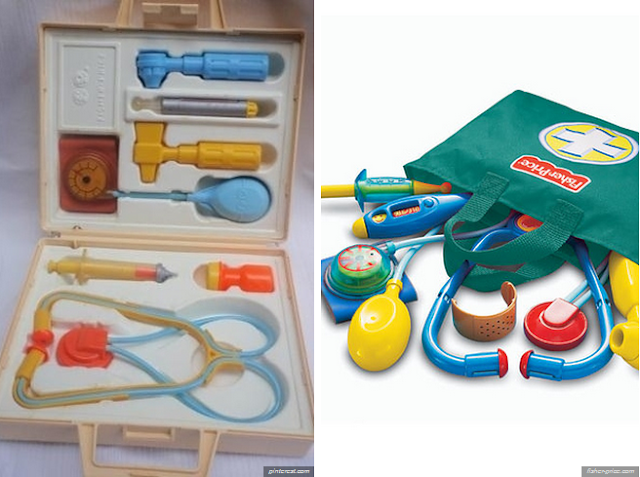 The doctor's kit is in a tote bag, but other than that I'm happy to see not much has changed. If you've seen Toy Story 3, you know about Barbie's Dream House nowadays... elevators and way more pink. If you thought Bop It was hard way back then, stay away from the new versions. 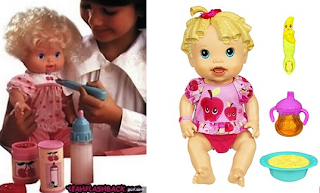 Polly Pocket... doesn't even live in a pocket anymore! 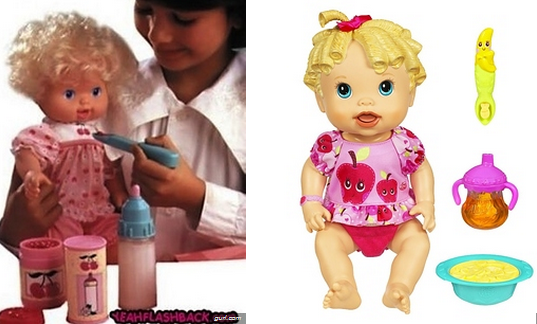 The Easy Bake Oven... looks nothing like an oven, unless you're living in Zenon's world. GIRL TALK still exists?! YUP. With a One Direction version. So long innocent, simple red car. And so long simplicity of the Skip It. Now there's levels and lights and OMG ARE WE AT A RAVE?! 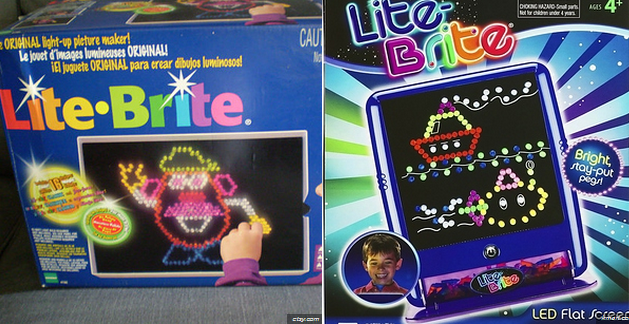 Lite Brite... no longer making you poke lights through a piece of paper because that's wasting... it's an LED screen now. Pink sports cars are soooo not girly enough for today's Barbie car. OMG REMEMBER BABY ALL GONE?! 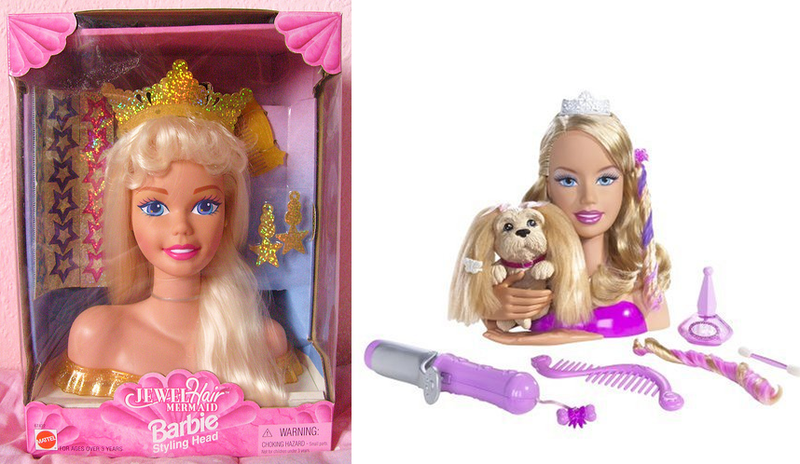 Or something like that.... She can still eat her magic peas, but can't have real hair. Once again, simple is no longer cool. Little People got makeovers too. Ooh and the Littlest Pet Shop! Again with the big eyes.... They don't look remotely the same anymore. Oh, look... more humongous eyes on My Little Pony. And even Etch-A-Sketch has gotten a millennium makeover. 90 degree angles are so last century. So... maybe kids these days are kinda playing with all the awesome toys we used to play with.... but they're mostly completely different. Plastic surgery at its finest.